North Beach has always been a place unto itself. San Francisco’s most storied neighborhood, today it remains a place of anomalies, of quaint anachronisms and jarring contradictions. A cloistered little village in the middle of one of America’s busiest cities, even in a city as postcard-perfect as San Francisco, North Beach still manages to stand out. Of course, such a neighborhood gives up its secrets slowly, so newcomers don’t always get it; you have to hang around a while, and let the place work on you for a bit. I’ve been here for about a dozen years, and I’m just starting to see the whole picture. And one of the best things I’ve learned about in recent years has to be the Salesian Boys and Girls Club. Back in 2017, my friend Rich Azzolino (owner of Green Street’s Sotto Mare) was good enough to introduce me to the club’s Director, Randy DeMartini. Like Rich before him, Randy belonged to the club as a kid, and the two of them have educated me on the history of ‘the Club’ and its unique place in the North Beach community. 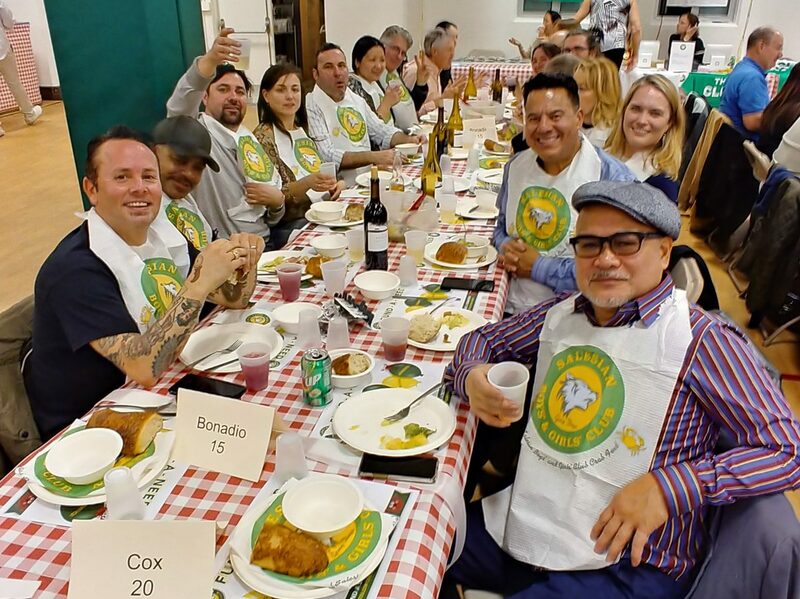 Founded by Father Oreste Trincheri in 1921 to give the young people of North Beach a positive alternative to delinquency, the club’s mission is to provide education and guidance to kids from 8 to 18 years of age. 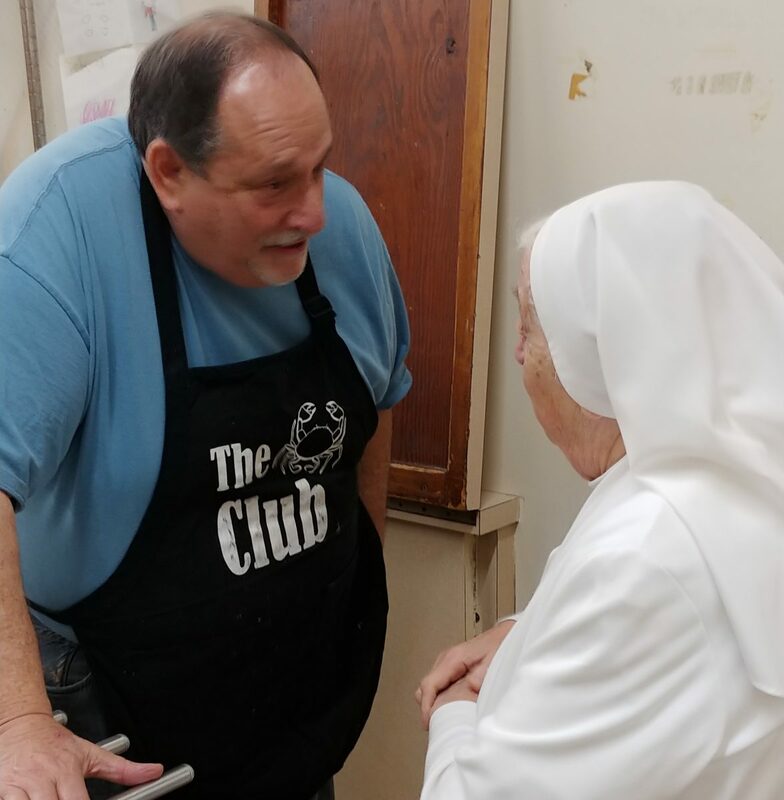 For almost a century, the club’s staff members have been the unofficial big brothers and sisters to North Beach’s children. To this day, any kid can walk in the door and get an annual membership card for just $10. And that’s some deal: member services are estimated to cost approximately $1,300 per child each year, with the balance made up for by donations. The counselors treat all of the kids like family, offering programs for sports, music, arts and crafts, drama and more. The club has been a home away from home for thousands of SF kids over the years–and those kids typically remain members for life, and come back for events whenever they can, often from far outside the city. And I can tell you, some of those events can be doozies. 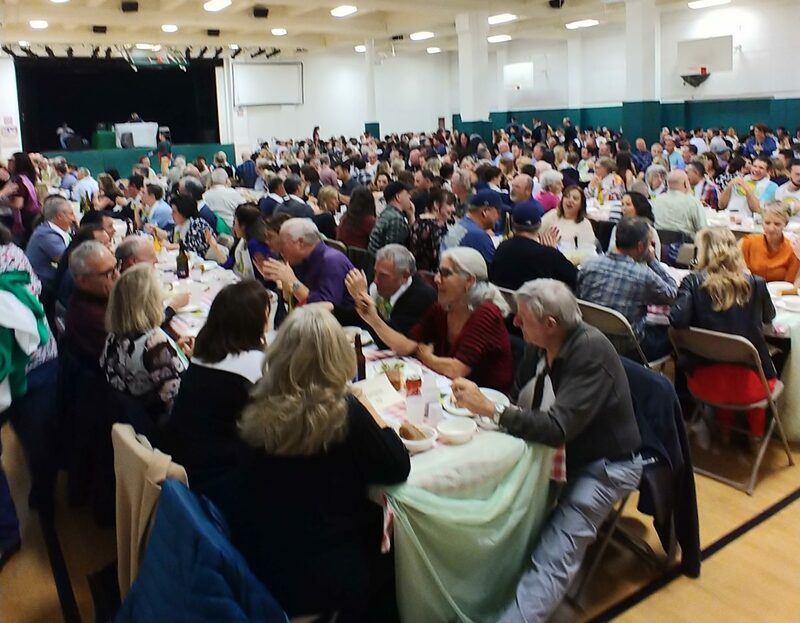 Last year, I had the pleasure of attending my very first Salesian Club Crab Feed. Being my first outing, I didn’t know quite what to expect, other than a big local crowd and a lot of food. I knew Rich was doing the cooking, and that was enough for me. As most readers of the blog know, Sotto Mare is probably my favorite restaurant in the city, so it wasn’t a hard sell. The deal: all-you-can-eat crab (prepared two ways) and four hours of open bar for $85 a head, all proceeds going to the club. Again, these are huge events–and by huge, I mean very, exceptionally large. The one I went to last year was about 225 people. This January 19th, I made a return trip with fifteen friends, and expecting a much bigger crowd: fully 590 souls were to be in attendance. The organizers set aside the first hour for cocktails, and somehow assembled enough volunteers to staff the multiple bars required to handle the throng. 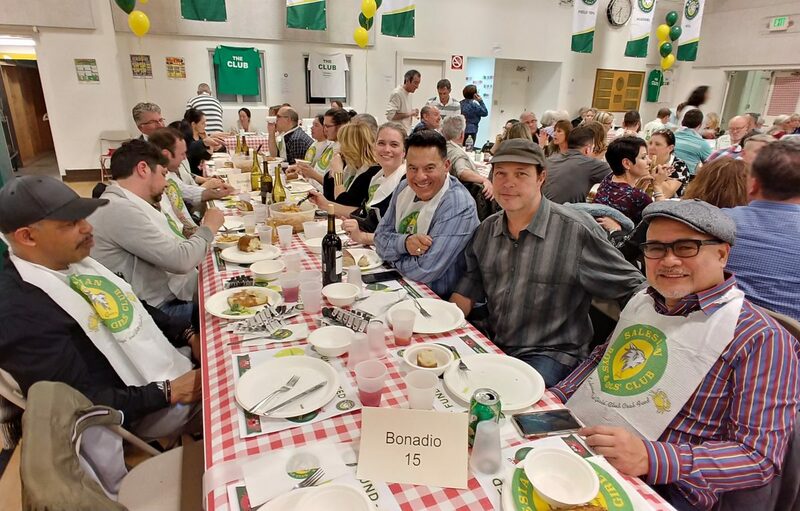 We put together a great table, including our friends Tony Gemignani from Tony’s Pizza Napoletana, attending for the first time, and Al Ribaya from Al’s Attire. The setting was the gymnasium below Saints Peter & Paul Church, which easily accommodated the crowd. It gets noisy in there, and from the moment they opened the doors, spirits were high. We had a DJ (sometimes there is live music), and as custom dictates, the whole thing devolved into a big dance party at the end. And as good as the food was, that’s hardly a surprise. There were two kinds of crab: one served with what Rich calls his “Cioppino sauce” (a tomato-based sauce with the same flavors as Sotto Mare’s infamous fish stew), and another in a simple garlic marinade. Before the crab even hit the table, there was also antipasti, Caesar salad and pasta, in that order. And keep in mind, this is for nearly six hundred people. When Tony and I saw Rich just before the food was due to come out, we asked him if he had things all sorted out in the kitchen. And I must admit, the man was pretty unflappable. “I got everything under control,” Rich told us with a smile. Indeed, the meal went like clockwork. 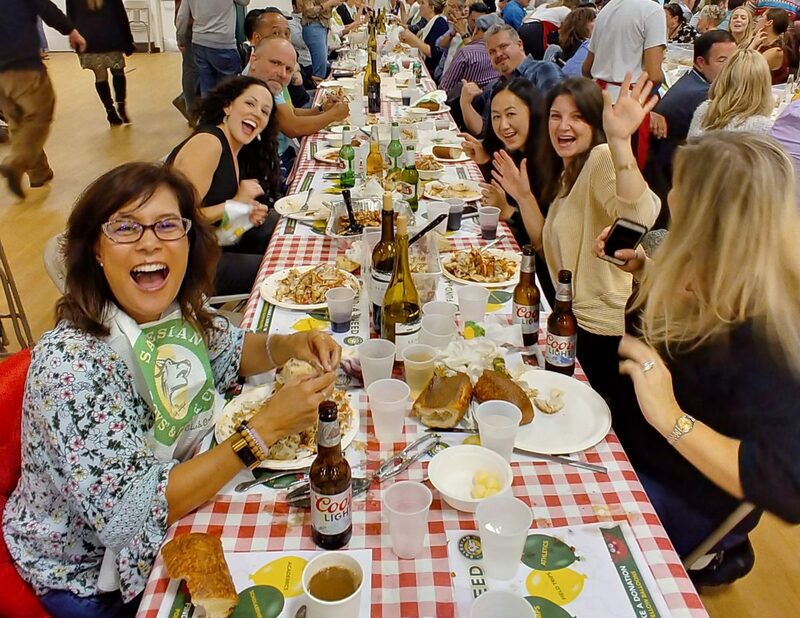 The all-volunteer waitstaff was regimented and efficient, and it seemed like each time I finished a plate, there was something new being served. And apparently Rich may have done his job too well: the garlic-marinated crab was such a hit, he was deluged with requests to put it on the menu at Sotto Mare. And here’s to the squeaky wheels! Starting this week, Garlic Marinated Crab will be offered at Sotto Mare as a regular Wednesday special. If it does well, it’s likely to end up on the daily menu. Meanwhile, if you haven’t tried the Cioppino, you’re late to the game: grab a wingman and an apron, and get in there. Truly, it’s no less than epic. Meanwhile, if you’d like to join us for the party next time, the feeds are traditionally held on the first three Saturdays of January, and the first Saturday of February. For more info about next year’s events, you can check out the Salesian Club’s event page. Happy February everyone….and see you in the neighborhood!